Here is the funny meme on facebook data leak. You remember John snow from Game of thrones? His character is known from "he knows nothing" . On other hand we have mark zuckerberg who knows everything by collecting facebook user's private data. 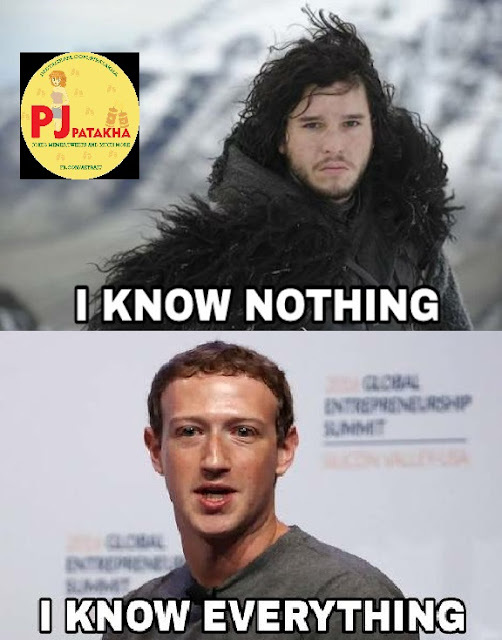 John Snow : " I know Nothing "
Mark Zuckerberg : "I know Everything"